The Classic Rib roof and siding style is a low profile, classic look for any steel structure. Apply any of the MS Colorfast45™ paint finish options to this roof or siding style. This style provides 36″ of coverage with a rib height of 3/4″. 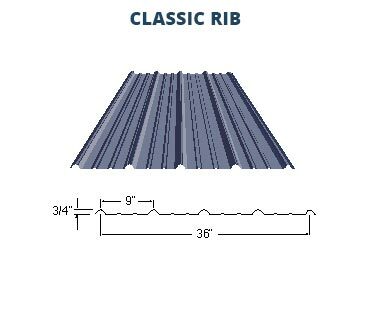 The Classic Rib siding is a standard steel look perfect for any steel building project. 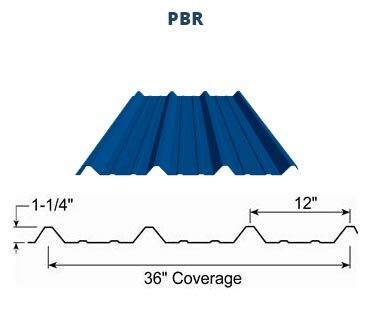 The PBR roof and siding style is larger version of the Classic Rib style. Each rib is larger at 1 1/4″ high, and the panel offers 36″ coverage per panel. Each panel has four (instead of five) raised ribs. This heavy duty roof or siding option is great for any steel structure style, whether it is a workshop, garage, or industrial warehouse. 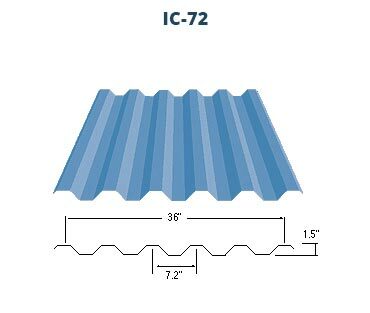 The IC-72 roof and siding style gives any steel structure a consistent ribbed look and feel. Each panel, offering 36″ coverage, has evenly spaced ribs which are 1.5″ high. This siding option offers a more uniform look, and is great for any steel building or steel structure. 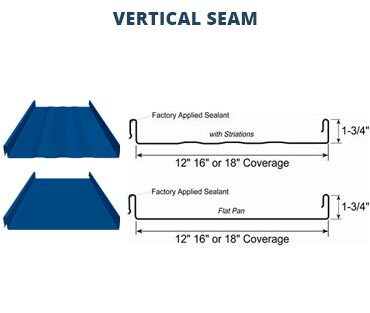 Our newest offering, the Vertical Seam, has a range of coverage options and is a flatter, non-ribbed roof or siding style. Each seam is 1 3/4″ high and each panel comes with an option of styles. The Vertical Seam is a snap together panel system with a concealed clip deisgn for thermal movement. This siding style is great for the do-it-yourselfer, and comes in a variety of styles and sizes.